Cataract surgery is one of the most effective and low risk procedures you can undergo. It is fast and painless, and performed as an outpatient procedure. During surgery, your surgeons creates a small incision to remove the natural lens of the eye. After lens removal, an artificial lens known as an IOL, is inserted. Recovery is also pretty fast and simple. 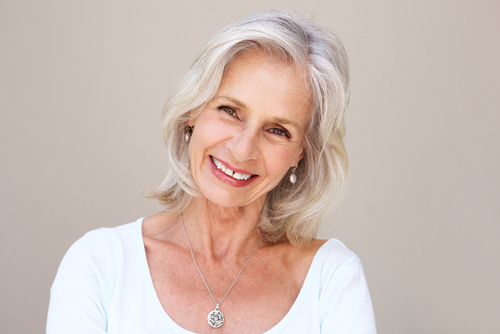 Want to have the best cataract surgery experience possible? Check out these 5 tips for recovering from cataract surgery! After surgery, you won’t be able to drive yourself until your eye doctor clears you. This is usually the next day. You will need to plan a way home and back and for the rest of your travel needs during that time. In some cases, you may need anesthesia during cataract surgery. If this happens, you'll need someone to stay with you after the procedure. It may be easiest if this person can also drive you home afterwards. After you get home from surgery, it is common to feel sleepy or drowsy. It's a good idea to take a nap and let your body rest. Over the next few days, you'll need to wear a protective eye patch. It's not pretty but it protects your eye from debris and irritation. While your eye is healing, you should wear the special protective sunglasses provided. After cataract surgery, you may find that your eye is more sensitive to light than normal. This usually goes away after a few weeks. To aid in the healing process, keep your eye free of any possible irritants. This means avoiding rubbing your eye and not swimming in a pool or hot tub. You should also keep your eye closed when bathing, and wear protective sunglasses. It’s also important to refrain from doing any strenuous physical activity or lifting. This ensures the incision made in your eye doesn't become damaged. Familiarizing yourself with what to expect after surgery can help reduce your stress. Redness of the eye and blurry or wavy vision is common in the first few days and is not a cause for alarm. Some dryness and/or irritation is also normal and eye drops are prescribed to help as you recover. You may also notice some slight bruising at the anesthesia site. All these side effects should resolve on their own after a few days or weeks following surgery. While cataract surgery is low risk, there are a few possible complications to be aware of. One of the most common complications is posterior capsular opacification. This is often referred to as a secondary cataract. A secondary cataract occurs when the membrane that the eye’s lens was held in becomes cloudy. A second surgery known as a YAG laser capsultomy is necessary to fix this. Another possible risk is when the artificial lens becomes dislodged. This is rare but can be serious if not dealt with by your doctor immediately. Another rare complication due to surgery could be a dislodged retina. This can occur even years after a successful and uncomplicated surgery. If you experience any vision pain or trouble after cataract surgery, see your eye doctor. This could be a sign of an eye emergency that needs immediate attention. It never hurts to be sure! Not sure if you have cataracts or need cataract surgery? Contact the experts at Chesen Laser Eye Center to schedule your cataract screening today! If you're suffering from vision loss, you don't need to continue living this way anymore!